Spring is on its way, and here at dealchecker, we’re starting to feel excited for longer evenings and days spent by the pool. Whilst over the winter months, you can often find yourself splashing the cash in the hunt for sunshine, spring is a great time to holiday with balmy weather and cheap prices! We’ve rounded up the all inclusive destinations where you can relax by the pool and gorge at the buffet at no extra cost over the next few months. Paphos, on the island of Cyprus, is rumoured to have been the birthplace of the goddess Aphrodite, and it's not hard to imagine why this spot would be chosen by an ethereal being. There are crystal clear seas, a rugged coastline and shores lined with verdant green forests: all of which make for seriously dreamy surrounds. The weather is balmy in spring too with the mercury often hitting the early 20°Cs in March and April. What better way to relax than with an all inclusive holiday where you can sip on a cocktail and admire the views all day long? 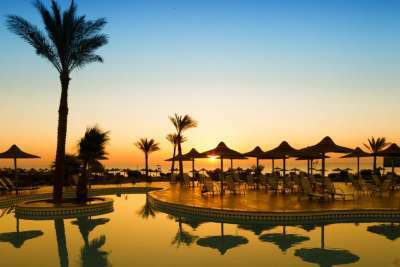 Situated on the Red Sea coast of Egypt, Hurghada is famed for its snorkelling and diving opportunities - you can dip beneath the waves to try and spot shoals of multi-coloured fish as they dart about below. Many of the hotels in the region offer watersports within your all inclusive package, but for those where this is not the case, there are seemingly endless sandy beaches to explore. The weather is almost always good, and there have been temperatures as high as 27°C in May making days spent by the pool, days well spent. The Spanish island of Majorca has something for every type of holidaymaker, there are hedonistic parties and lively vibes in Magaluf and Palma Nova. On the other end of the spectrum, Puerto Pollensa has the sort of laid back atmosphere and beautiful scenery that makes it a great spot for a family holiday. One thing you can be sure of is that no matter what you're looking for, there will be a hotel with an all inclusive package to match! The island is graced with turquoise waters and balmy climes meaning that a dip in the sea is more than possible between April and May. With long sunny days and gorgeous surroundings, the Turkish region of Dalaman, draws in the crowds come spring. It's not hard to see why people come here, there are golden sandy beaches and plentiful expansive hotels where the all inclusive packages can cater to your every whim. One of the region's finest beaches is the natural Iztuzu Beach in Dalyan, where the long swathe of soft white sands is home to loggerhead turtles and blue crabs which makes for a great day out. Crete is Greece's largest island and also its most southern, meaning that the sun shines here before it reaches the rest of the nation. Wildflowers bloom come May, giving the island a hazy patchwork feel. Those looking to kick back and relax will enjoy the crystal clear waters on offer here, whilst history lovers can take the opportunity to visit the Palace of Knossos or explore the pastel-coloured buildings in the warren of streets that make up the old town of Chania. 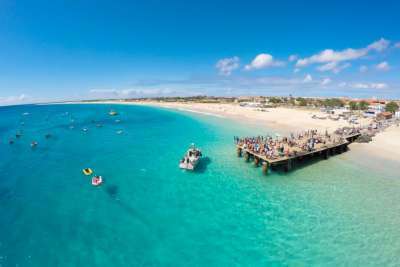 The archipelago of Cape Verde was a little-known secret, its miles-long beaches and bright blue seas were only enjoyed by the lucky few to have stumbled across the destination. 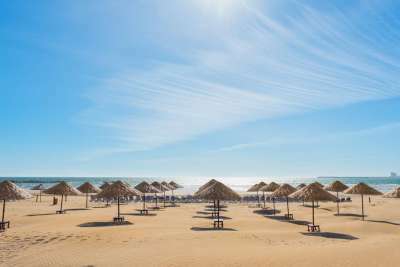 Nowadays, there are sprawling hotels offering all inclusive packages on the islands of Sal and Boa Vista which make the most of these natural surroundings. Many of these hotels are jam-packed with activities that you can try your hand at should you want to, or a whole host of pools where you can soak up the rays on these perennially sunny islands. 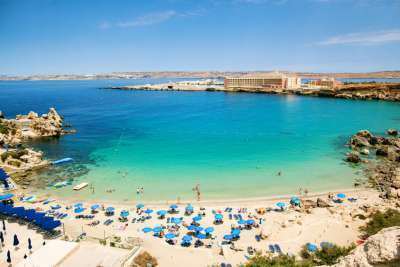 The island of Malta has a fascinating history and the influences of the Romans, Moors, French and British can be seen throughout. Highlights include the ruins at both Ħaġar Qim and Mnajdra which date as far back as 3600BC. Elsewhere, the island is graced with gorgeous natural scenery which you can take full advantage of on an all inclusive holiday. There are warm seas to swim in and rugged landscapes to admire from the comfort of a deck chair. 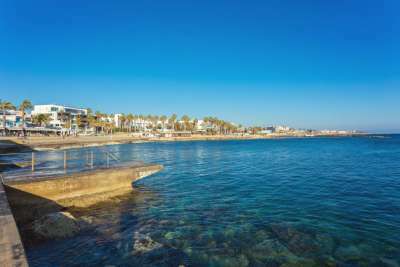 The resorts of Los Cristianos and Playa de las Americas are great locations for those who are seeking great weather in the early months of spring but without paying a hefty price tag. Tenerife is the largest of the Canary Islands which sit just south of Morocco, ensuring a warm climate almost all year round. A holiday here could include lots of splashing around in warm blue seas, hiking to Spain's highest peak or chowing down on lots of delicious food. Agadir is sometimes referred to as the Miami of Morocco thanks to its sunny climes and high-rise white architecture. The temperatures far outrank Britain's with temperatures as high as 26°C even in March, meaning that you can almost guarantee that days spent by the pool will be paired with sunshine. The region is renowned for its watersports and some of the big resorts offer windsurfing within their all inclusive packages so it's worth checking what's included before you book. 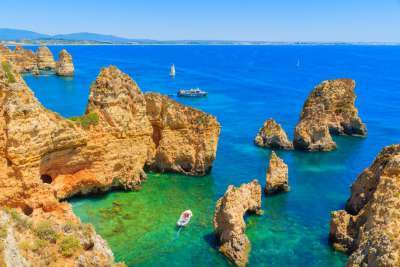 The Algarve, on the southernmost coast of Portugal, is famed for its golfing opportunities. This might be due, in part, to the fact that the sun shines here almost year round making long days on the course possible, even in spring. Nowadays though, a whole host of holidaymakers are getting in on the action. As such, you can spend days gorging yourself on food and drink in gorgeous surrounds, and in spring, the golden beaches remain fairly quiet giving you plenty of space to lie back with a good book.